If you are having trouble hearing people through the earpiece on your Samsung Galaxy S4 GT-I9500 / GT-I9505 a fault with your earpiece speaker might be to blame. Replacing this S4 part usually solves the problem. 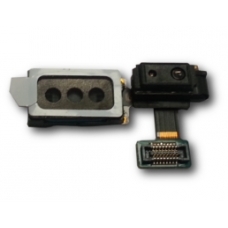 The screen proximity sensor is mounted on this S4 part.